They must be doing something right having signed to esteemed label Regal off their debut single alone. The first new music to be released on the Parlophone imprint in almost 2 years, Anteros return on fine form with a gorgeous follow up to their blisteringly refreshing self-titled single that we had the pleasure of hearing back in January. 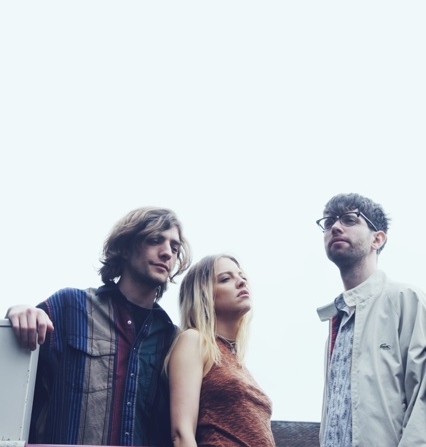 Taking things down a more seductive route, its b-side Fade To Grey explores new ideas for the London-based trio as their synth pop elements become animated amongst its swooning choruses and headrushing percussion. Take a listen for yourselves below. "The track Anteros is about us coming to terms with moving to London", explains lead singer Laura Hayden. "Although it’s big and busy, it can be a confusing and lonely city. The whole EP is about us coming to grasp with growing-up and balancing love with fears, dreams and ambitions. Our name Anteros was birthed from the statue with the same name that sits in the middle of the beating heart of London city". You can re-familiarise yourselves with their self-titled debut below.